1. Check the engine oil level. Replenish if necessary. LU-25, "Inspection". 6. Select “Data Monitor” in “TRANSMISSION”. 8. Measure the line pressure at both idle and the stall speed. 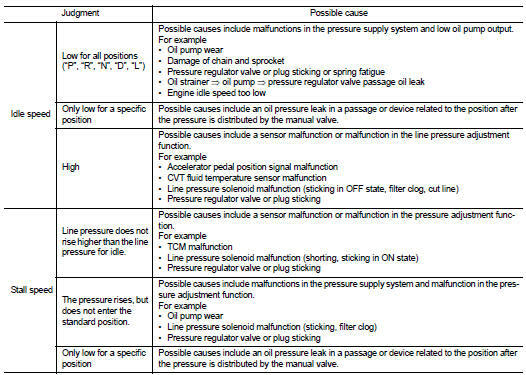 Line pressure : Refer to TM-513, "Line Pressure".